A contemporary of the Sopwith Snail and the BAT Bantam, the Wagtail was similarly designed to comply with the A.l(a) Specification drawn up by the Air Board in 1917 to define its requirements for a single-seat fighter. Emphasis was to be placed upon manoeuvrability and climb, with the ability to achieve 217km/h at 4570m when carrying oxygen equipment and three machine guns. Like its competitors, the Wagtail was powered by the 170hp ABC Wasp I seven-cylinder radial, an engine that eventually thwarted further development of all three A.l(a) types. A well-proportioned, diminutive single-bay biplane, the Wagtail gained a contract for three prototypes late in 1917, and the first was flown in April 1918. Construction was of fabric-covered wood, with metal-framed rudder and elevators, and two synchronised 7.7mm Vickers guns were fitted. An overwing Lewis gun was planned, but not fitted to the prototypes. Whereas the first Wagtail to fly had equal dihedral (2� 30") on upper and lower wings, the second and third were completed (and the first later modified) to have a larger cutout in the upper wing centre section with 5� of dihedral on the outer panels of the upper wing and a flat lower wing. Destroyed in a fire at Yeovil soon after its first flight on 29 April 1918, the second Wagtail had to be replaced later that year; the third went to Martlesham Heath on 8 May, but problems with the Wasp limited flying. In October 1918, the engine was officially abandoned, and with it any plans to produce Wasp-engined aircraft. 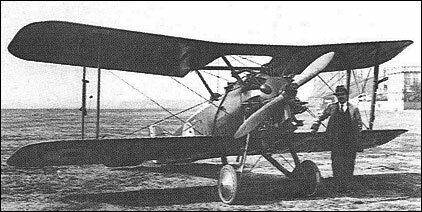 Two more Wagtails were ordered from Westland in 1919, to serve as test-beds for the 160hp Arm-strong-Siddeley Lynx seven-cylinder radial engine. Unarmed, these two aircraft were delivered to the RAE in September/October 1921. "Wasp" radial engine. Eventually the British did develop successful engines of this type, the Bristol "Jupiter" and Armstrong-Siddeley "Jaguar", but not till well after World War I was over. By all contemporary accounts, the Wagtail was a very good airplane, and was considered to be the best of the competing fighter prototypes that were submitted at that time. Unfortunately, like it's contemporaries, it was let down by the failure of the ABC "Wasp" radial engine. Eventually the British did develop successful engines of this type, the Bristol "Jupiter" and Armstrong-Siddeley "Jaguar", but not till well after World War I was over.